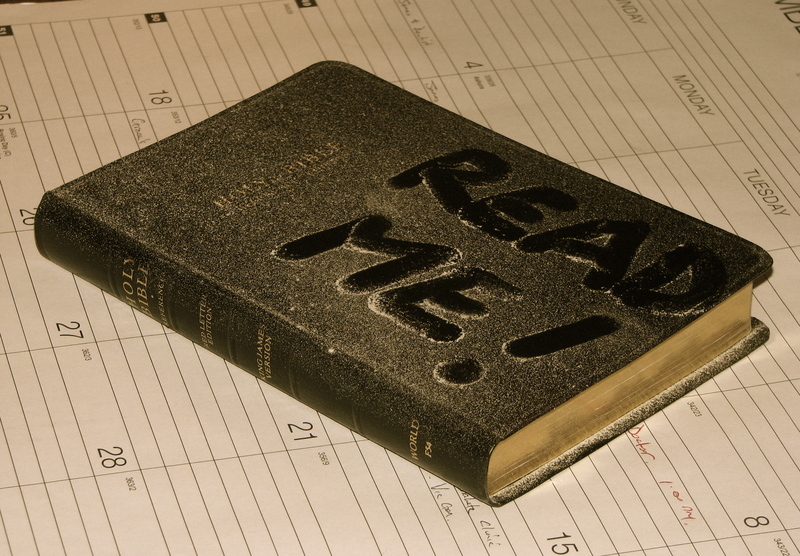 Do you plan to read your Bible in 2012? Home/Youth/Do you plan to read your Bible in 2012? It is impossible to imagine Christianity without a Bible. Without that one book, there would be no church, no worship, no prayer, no instruction, no obedience—in short, no Christianity at all. We might invent substitutes for these using our imaginations, but we would never devise a religion that would be acceptable to God.On the other hand, it is entirely possible to imagine a Christianity with only the Bible. To take away every other piece of literature would no doubt greatly impoverish the church. Nevertheless, with only the Bible we have sufficient guidance to have true worship, prayer, obedience, repentance, faith, doctrine, evangelism, and church life.I think all Christians would readily agree that the Bible contains a greater wealth of truth than all other literature combined. We are used to the idea that without the Bible we can never know God, but that with the Bible we need nothing else to know Him. But how many of us demonstrate this principle in our daily lives? If you’re anything like me, you know that it is far too easy to neglect reading the Bible because we are busy reading history, theology, sermons, biographies, devotionals, or some other literature. As a result, we get our knowledge of God and our Christian experience secondhand, from the hearts and minds of some great authors rather than from the heart and mind of God. There is nothing more important for our Christian life and health in the coming year than for us to come to know God in His Word, rather than in a series of books about His Word. To encourage and help you in your personal reading of the Scriptures in this coming year, here are a few suggested reading plans. Each one has advantages and drawbacks, so choose the one you think will be best for you; it might even be a good idea to choose a different plan from the one you did last year. M’Cheyne’s Bible Reading Plan is a classic. Four chapters per day from four different places in the Bible. In one year, you’ll read the Old Testament once and the Psalms and New Testament twice. If you are feeling ambitious, check out Grant Horner’s plan. It is deliberately less neat-and-tidy than M’Cheyne’s. Horner has provided ten lists of varying lengths. Each day, read one chapter per day from each list, and you’ll have a year of constantly reading and re-reading different parts of the Bible in new combinations. Equally ambitious, and a little simpler, is James Gray’s method of reading the Bible for mastery. Taking one book of the Bible at a time, read it right through twenty times before moving on to the next book. Start wherever you like, and move at your own pace through each book of the Bible. Fred Sanders explains the rationale and advantages of this method. If you don’t think you’ll be able to handle such heavy or rigid plans, you might appreciate the flexibility of the “Bible Reading Plan for Slackers and Shirkers.” Read something from each genre (Poetry, History, Letters…) once per week. If simplicity, independence, and flexibility are what you need, Don Whitney’s Bible reading chart might be the most helpful. Hang it up on your wall, and just cross the chapters off as you read them—in whatever order, and at whatever pace you please. Scripture reading breeds Scripture reading! Thanks, Calvin, for the helpful, stimulating and practical approach to that wonderful and awful privilege of reading God’s Word in a year. Grant Horner’s plan looks interesting. Thanks Mr. Ludwig. I hope it’s helpful. I’ve tried M’Cheyne’s plan before, but I’m coming to see the advantages of something a little more flexible and varied. Thanks Calvin,I tried the M’Cheyne’s plan,I had difficulty staying on top of the plan,I’ve decided to start my own.Definitely not a slacker plan,but enough to say that I have recieved my “daily bread”. I found the same, Alan. I think a more flexible system is easier to manage, and easier to benefit from. I hope your new method is fruitful.